Six Nations 2016: Is Friday night all right for rugby? The Welsh love a Friday night out. But for rugby? When Warren Gatland's team take on France in Cardiff it will be the sixth Six Nations Friday night match - and Wales have played in every one. Traditions took a back seat when Friday night rugby was introduced in 2009 and that has been a contentious issue ever since - especially in Wales. The French rendezvous will be the fifth Friday night out in Cardiff. The Principality Stadium is unique among Six Nations venues thanks to its location in the heart of the Welsh capital, but getting there and getting home can be a problem, especially with Cardiff's reputation with Friday night revellers. A rugby match adds 74,000-plus ticket-holders to the commute, plus those who travel in just for the buzz of Cardiff on a match day. Gareth Davies, chairman of the Welsh Rugby Union, is aware of the issue. "We appreciate that Friday is the busiest commuter day of the week and there have been public transport issues after matches in Cardiff," he told The Guardian. This tournament has been evolving quietly for more than a century. France joined in 1909, then were evicted in 1932 before returning again after World War II. Five became six in 2000 when Italy joined. For most of its history all matches kicked off at the same time on a Saturday before broadcasters - and we have to come clean, that's us at the BBC - staggered the games so all of them could be shown live. Sunday matches have been around since the 1990s and are even less popular with travelling supporters than Friday kick-offs. It's the number of matches on a Friday night in Cardiff which is an issue for WRU chief Davies. The former Wales captain has been head of BBC Wales Sport and accepts these fixtures are here to stay but that the other nations have to share the load. "Everyone has to accept that the days of all matches being played on a Saturday afternoon are gone," he added. "The television deal means matches on Fridays and Sundays are here to stay because the ratings are high. "We have France on Friday and we play Ireland at that time next year. "After that, the television schedule will be up for discussion and our view is that everyone has to bear the load. More hands need to go up." England's RFU have so far declined to stage Six Nations matches at Twickenham on a Friday, but England did play the opening game of the 2015 World Cup against Fiji on a Friday night. Traffic and commuting in London are the hurdles - so that match against Fiji could be a one-off, though it is under review. Ireland and Italy - like France - have the added complication of international travel for the fans of whoever they are playing, while a potential impact on attendances is a concern in Scotland. "Clearly there are a few hurdles to overcome," admits Six Nations chief executive John Feehan. "But Friday nights are available to us in two venues at the moment and we would expect that to increase as we go forward. "Friday nights have always been an issue in so far as logistics and people worrying around hospitality. In England, people have reasonable distance to travel to get to the games, particularly if they are coming from the north or west of the country. "But it has been a success. Friday nights have been a success in Paris and in Wales so I don't see why it wouldn't be a success anywhere else." The worry for organisers is that fans faced with Friday night traffic and late finishes will decide to stay at home. 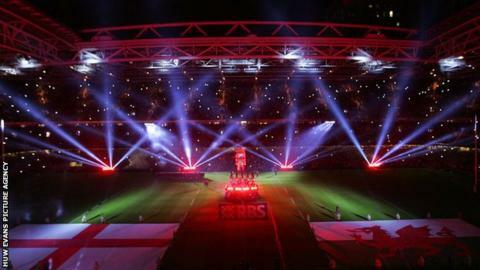 Friday night is already a staple in Wales and Northern Ireland when Pro12 games are regularly shown live by the BBC. And last year, England's win over Wales in the opening game of the tournament attracted a peak audience of 8.8m on the BBC.